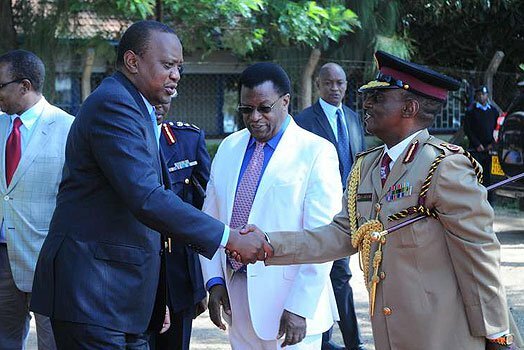 Wednesday September 12, 2018-National Police Service Commission (NPSC) chairman, Johstone Kavuludi, has said his commission can’t fully discharge its mandate to Kenyans since President Uhuru Kenyatta has usurped its powers. In an exclusive report published by one of the local dailies on Wednesday, Kavuludi singles out the 2014 amendment to the National Police Service Act and the National Police Service Act which snatched its power to recruit the Inspector General and his two Deputies. In the amendment, Uhuru was given powers to appoint Inspector General of Police and two of his Deputies. Kavuludi also identified the Judiciary and threats against the commission, especially during the vetting of senior police officers. The chair recommended that the National Police Service Act and the National Police Service Commission Act be amended to give their successors power to recruit the IG and the two deputies without involving the Presidency.